Are you a foodie? I like to think of myself as a gourmand, but sometimes its hard to keep up! I read Bon Appetite and the occasional NYTimes restaurant review, but mostly I like to have pretty things strewn around my kitchen for when I actually am inspired to try out a recipe or two and pull out my good plates for a dinner party. So here's a little gift round up—just in time for you to make your holiday wish list—of all kinds of beautiful things for the kitchen. These goodies happen to be from Terrain—a shop full of lovely things and the perfect place to start your holiday shopping. Which would you pick up? 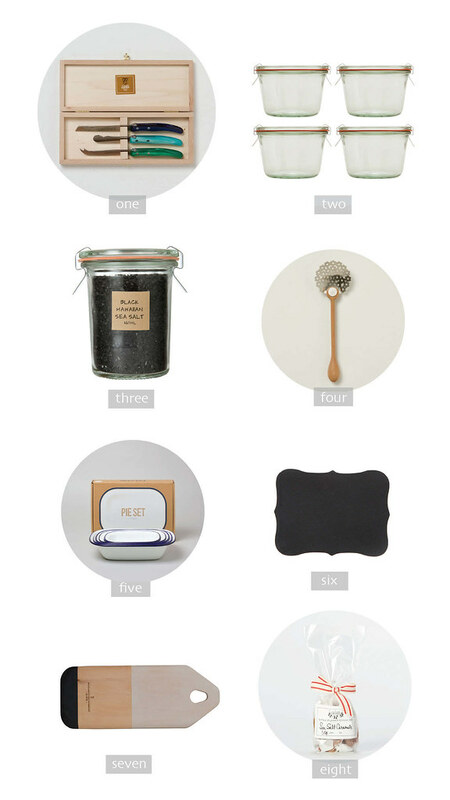 Discover more gorgeous gifts at Terrain here.